"Fantasy Jewelry Box is one of the leading online retailers of celebrity and designer inspired jewelry. Although celebrity inspired jewelry is their specialty, they are also a leading online retailer for replica celebrity rings, fake engagement rings and faux wedding sets. Their sterling silver jewelry collections primarily consists of high end genuine .925 Sterling Silver with high-quality cubic zirconia stones. They also proudly carry gold jewelry collections as well as fashion jewelry and costume jewelry for our more budget-friendly shoppers. 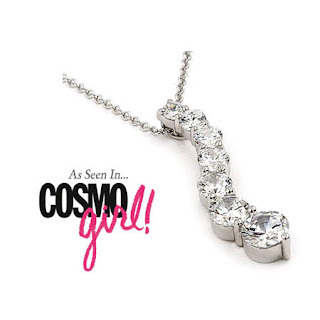 Their cubic zirconia jewelry prices generally range from $10.00 to $500.00 so it is easy to see why their affordable diamond replica jewelry collections are so popular! Whether you are a financially struggling college student or a successful, wealthy woman who enjoys a good deal, their collections are perfect for you!" I was so lucky to have the opportunity to review a Designer Inspired Journey of Life CZ Necklace from the Fantasy Jewelry Box. It is absolutely beautiful! I fell in love with this necklace. It is a perfect gift for Mother's Day. It goes perfect with most of my clothes. 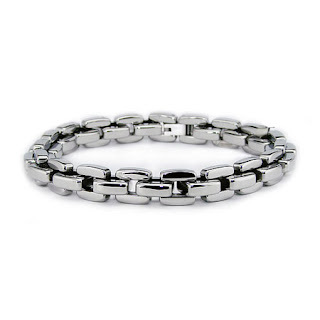 This wonderful piece of jewelry is priced at $39.95. Check this out! Fantasy Jewelry Box even offers jewelry for men. 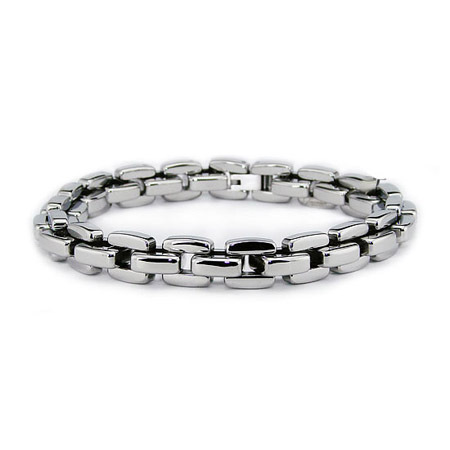 This is a Harrison's Stainless Steel Men's Link Bracelet. I think this is lovely! This is priced at $48.95. 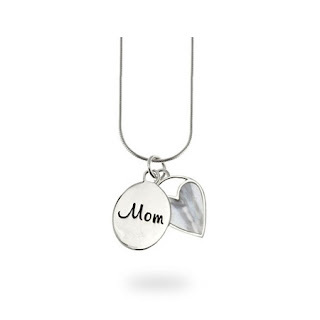 This is a perfect gift for mom. This is a Mother of Pearl Heart "MOM" Silver Necklace from the Fantasy Jewelry Box. This is perfect for Mother's Day. 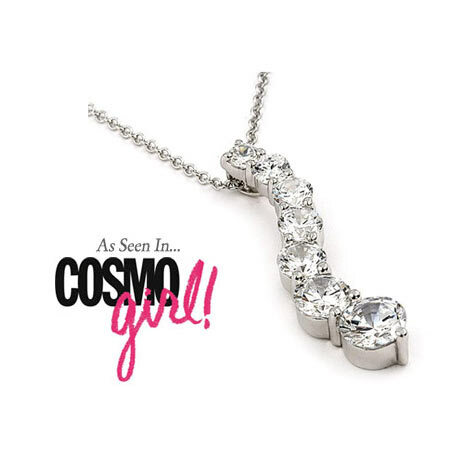 This beautiful necklace is priced at $58.95. Fantasy Jewelry Box offers a variety of jewelry for any occasion for men and women. Their lovely jewelry would make an awesome gift. I found tons of jewelry I could just die for. They offer necklaces, rings, earrings, bracelets, brooches, and pendants. Check out their awesome jewelry here. Bonus: You will get 20% off by using the code REWARD20 when you make a purchase of $100 or more on Fantasy Jewelry Box. You will get free shipping with orders of $75 or more. 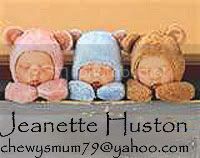 1 lucky Mommy Blessings in Small Bundles reader will win a item of their choice under $35.00 on Fantasy Jewelry Box. To enter: go to Fantasy Jewelry Box and tell me what item you would choose not listed above you would choose if you won. This is mandatory before all extra entries. 3 Entries: Tell me another product on the Fantasy Jewelry Box you would like to have. 3 Entries: Subscribe to the Fantasy Jewelry Box. 3 Entries: Subscribe to the Fantasy Jewelry Boxes RSS Feed located on the top right. 1 Entry: Follow Fantasy Jewelry Box on Twitter. 1 Entry: Fan Fantasy Jewelry Box on Facebook. 1 Entry: Follow our blog publicly on Google Connect. Found on the right. 1 Entry: Subscribe to our blog via email. 1 Entry: Become our friend on Facebook AND update your status with link to this giveaway. 3 Entries: Blog about this contest with a link back to our blog AND a link to Fantasy Jewelry Box(Leave a link back to your post in your comment). 1 Entry: Follow us on twitter and tweet this contest. 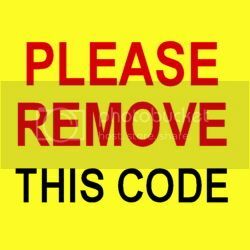 You may do this once daily (always leave the link in your comment). 2 Entries: Add one of our buttons to your blog. The old one does not count. 10 Entries: Make a purchase from Fantasy Jewelry Box! Find out how to earn more entries here. Make sure your entries are legit or you will be disqualified. I do check! Good luck! Contest ends on May 29th at midnight EST. Winner will be announced May 30th. Winner will be chosen through random.org. Effective Immediately: Include your email in your comment or your entry will not count. Disclaimer: I received samples for review for this post but no other compensation was received for this post or to host a giveaway. All opinions are mine and are valid. Lia's White Enamel & Multicolor Kaleidoscope Ring: LOVE IT!! The Vivien's Large Black Onyx Dome Ring is totally rad!!! I love Daria's Sterling Silver Peridot CZ Princess Cut Ring and I just may have to have it, win or lose! I also love The Elizabeth Sapphire Blue CZ Wedding Ring Set. Beautiful. Loving Victorian Style Ruby Red Ring. Following Fantasy Jewelry on Twitter. Following you on GFC! Thanks for the follow. Happy FF! I like the Alina's Designer Style Floating CZ Solitaire Necklace! Thanks! 3. Fantasy Jewelry Box subscriber. 2. Fantasy Jewelry Box subscriber. 1. Fantasy Jewelry Box subscriber. If I won I'd get Aralynn's Dainty Opal Sterling Silver Ring! Marilynn's Purple & Pink Rhinestone & Fabric Bib Necklace! I follow on Google friends connect now... I'm following you back from Friday follows. Another Item I would love to win is Veronika's 18" Light Pink Freshwater Pearl Necklace Set... that set is so pretty. I'd choose the Chelsea's Sterling Silver Canary CZ ring. I like the Amelia's Aqua Blue CZ Chandelier Earrings. I like the Paulina (gold) set. I'd choose Eva's Sterling Silver Sapphire Blue & CZ Eternity Ring. This would totally be up to my niece if I won! But I think she'd like some earrings, and maybe something like these Natalie's Sterling Silver 3 Carat Princess Cut Stud earrings? I love the Charity's Sterling Silver Cubic Zirconia Cross Necklace. I like the Lynn's Vintage Style Turquoise Teardrop Earrings. I also like their Crystal Silver Paw Print Pin. If I won, I'd probably choose Aralynn's Dainty Opal Sterling Silver Ring. Ashlynn's Aqua Blue Glass Bead Cluster Bracelet is my absolute favorite item (but is a few dollars over the giveaway price limit). 3 Ashlynn's Aqua Blue Glass Bead Cluster Bracelet is my favorite! 2 Ashlynn's Aqua Blue Glass Bead Cluster Bracelet is my favorite! I like Astrid's Silver Slithering Snake Bracelet. 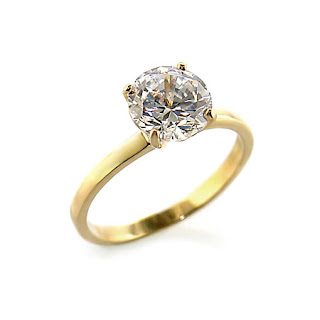 3) Another item I would love to have is the Ava's Canary & Diamond CZ Three Stone Ring. 2) Another item I would love to have is the Ava's Canary & Diamond CZ Three Stone Ring. 1) Another item I would love to have is the Ava's Canary & Diamond CZ Three Stone Ring. i really like the Aralynn's Dainty Opal Sterling Silver Ring! I would choose Dacia's Bali Style Diamond CZ Heart Ring! I'm a Fan of Fantasy Jewelry Box on Facebook. I follow Fantasy Jewelry Box on Twitter as "calidreamin87"
I voted for your son in the GMA Digital Cover Photo Contest, user name "Deanna6"
Voted for your blog on the Top Baby Blogs. LOVE LOVE LOVE the Liza's Oval Turquoise Drop Fashion Earrings! I would love to get the Kelli's Designer Style Pink CZ Star Dangle Earrings for my wife! I would choose Daphne's Antique Style Sapphire & Aqua Three Stone Ring. I would love to have Charlotte's Gold Dogwood Flower CZ Necklace & Earrings Set #3. I would love to have Charlotte's Gold Dogwood Flower CZ Necklace & Earrings Set #2. I would love to have Charlotte's Gold Dogwood Flower CZ Necklace & Earrings Set #1. I subscribe to the Fantasy Jewelry Box #1. I subscribe to the Fantasy Jewelry Box #3. I subscribe to the Fantasy Jewelry Box #2.